This case study features our client, Rejuv Medical Southwest, a regenerative and functional medicine expert servicing the Tucson, Arizona area. Rejuv Medical Southwest became a client because they wanted help with building upon their existing foundation. They already had a strong, mobile responsive WordPress website with existing organic visibility and rankings as well as a healthy Google Maps presence with over 25 reviews. 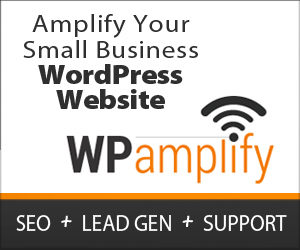 The purpose of hiring WPamplify was to take their organic online visibility to the next level and we rose to the challenge! Keyword research to identify the best keywords for the services they wanted to push. We’ve been building a steady flow of quality backlinks for them every month. We write and publish two SEO-optimized blog posts every month. We use Search Console on a monthly basis to fine tune their meta data. Google Search Console optimization including sitemaps and Data Highlighter. We’re optimizing their Google Maps profile through our local directory tool. General SEO consulting as needed. In a nutshell, a steady increase in hits from the search engines year over year. Specifically, when you compare their organic hits in February 2017 through August 2017 year over year, Rejuv Medical Southwest is getting 45% more visits. Also worth mentioning is that 48% more new potential customers are finding them as well. But most importantly, they are getting more leads from the increase in both the amount and quality of their organic hits. Rejuv Medical Southwest came to WPamplify to boost their online organic visibility. So far, they are seeing 45% more hits, an increase of 48% in new people finding them and a steady growth in leads.